Fist Puncher also has local co-op with up to four players. The thing was, it was only released on the PC. Well, if you were to take a look at the XBLA, you would see that Fist Puncher is actually available via the XBLIG section of the store. You can grab the game for 400 MSP, and get to work on unlocking the wealth of achievements and easter eggs in the game. It also supports co-op with up to four players locally. Like the PC version, the XBLIG version of Fist Puncher includes 50 playable levels, 15 characters, and a robust RPG and leveling system. 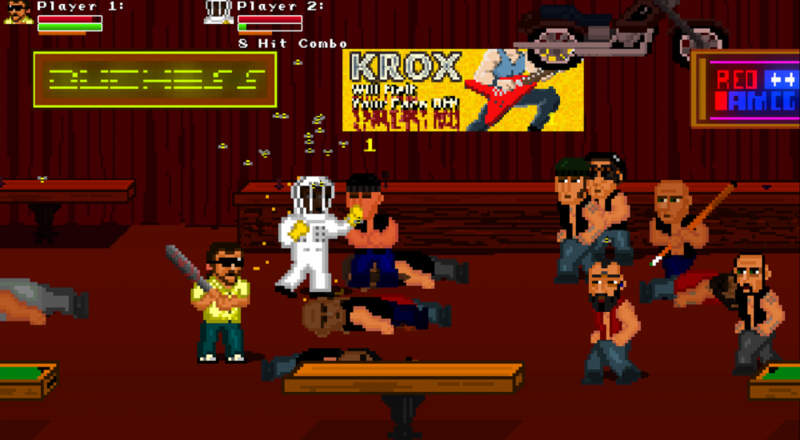 For $5, it is probably worth checking out Fist Puncher. It has a lot of content for the price, and it is also hilarious. If you are a fan of old school beat em' ups, hand drawn pixelated art, or fun cooperative games, then give Fist Puncher a go. Page created in 0.8245 seconds.